Philanthropic? I guess the bombs were sent pro bono? To be fair, the Chronicle of Philanthropy carried this report because what happens to a MSF hospital in wartime is of appropriate interest to philanthropists. 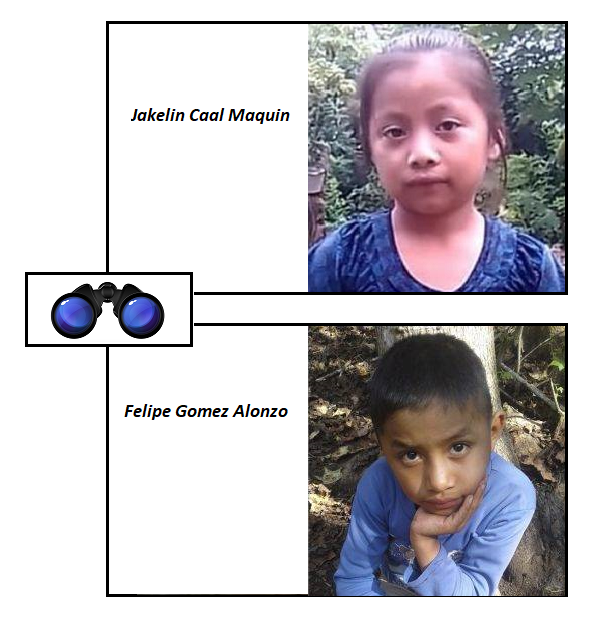 The juxtaposition of journal title and topic, however, remains jarring — click on the link below and take a look at their page as it originally appeared, to see what I mean. 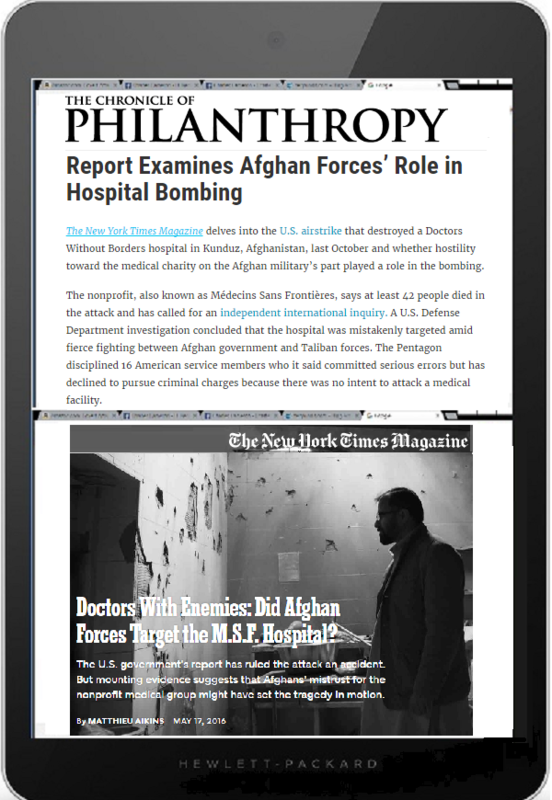 New York Times Magazine, Doctors With Enemies: Did AfghanForces Target the M.S.F. Hospital? The Washington Post – can’t read, or can’t count? You know me, maybe — I’m not a quant, if anything I’m a qualit, but even so..
CEOs at the top 50 U.S. charities, including Samaritan’s Purse, earn in the $350,000 to $450,000 range, which makes Graham’s $622,000 salary from his aid organization alone about 40 percent to 50 percent higher than average, according to a Forbes story. He receives the rest of his $258,000 compensation as CEO of the Billy Graham Evangelistic Association. That’s straight out of the Washington Post, who got it whole cloth from Religion News Service. OK, we know what the writer means to say, but. If top US charity CEOs including Franklin Graham earn between $350,000 to $450,000, and Graham earns $622,000 as his CEO’s salary, then — bzztzz — top US chatioty CEOs earn in the $350,000 to $622,000 range, , not “in the $350,000 to $450,000 range” period. Further, if Graham earns $622,000 from Samaritan’s Purse — which purse it seems I shall not be filling any time soon, and which might want to change its name to Sadducee’s Purse — the “rest of his $258,000 compensation” doesn’t make any sense at all — bzztzz. How can $622,000 plus an additional fee possibly sum to $258,000? There is a language, English, and a numerical method, Arithmetic, and this paragraph is lacking in one, the other, or both. Or is Franklin Graham paid in irrational numbers? It is told that those who first brought out the irrationals from concealment into the open perished in shipwreck, to a man. For the unutterable and the formless must needs be concealed. And those who uncovered and touched this image of life were instantly destroyed and shall remain forever exposed to the play of the eternal waves. Play of the eternal waves? Towards mathematical truth he had indeed a consciously religious attitude, which he sometimes expressed to himself by the phrase, ‘For ever, O Lord, Thy word is settled in heaven.’ Boole’s behaviour during his last illness was characteristic of the man… When his mind had been wandering in fever, he told his wife that the whole universe seemed to be spread before him like a great black ocean, where there was nothing to see and nothing to hear, except that at intervals a silver trumpet seemed to sound across the waters, ‘For ever, O Lord, Thy word is settled in heaven.’ And as he lay in bed on the borders of delirium, all the little sounds of the house, such as the creaking of doors, resolved themselves into a chant of these words, which expressed for him the excellence of mathematical truth. Posted in altruism, Charles Cameron, christianity, economics, language, mathematics, philanthropy, philosophy, poetry, Religion, Uncategorized, washington post | Comments Off on The Washington Post – can’t read, or can’t count?